Just after we saw the Xolo Q600s, a little digging also revealed another yet-to-be announced smartphone, the Xolo Q1200. 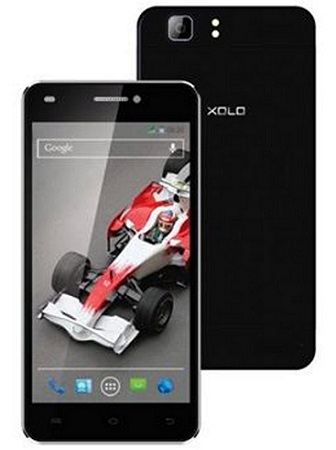 The Xolo Q1200, which is part of the company’s Q-Core series, is available on online retail store Snapdeal. The device sports a 5 inch display with Corning Gorilla Glass 3 protection and resolution of 1280 x 720 pixels. The device is powered by a quad core processor clocked at 1.3 GHz along with 1 GB of RAM and 8 GB of internal storage. The phone has dual SIM support with 3G connectivity. The Xolo Q1200 is equipped with a rear facing 8 MP camera with Sony Exmor R sensor and dual LED flash. There is also a front facing 2 MP camera. While the company has started releasing KitKat updates for its phones, the device runs on Android v4.2. The handset is priced at Rs. 14999 and is expected to be officially announced in June.